Our Year 3 children are taught in Hare Moonwood Class by Mrs Reed, Mrs Douglas and Mrs Amey. We also have several teaching assistants: Mrs Paffley, Mrs Perry and Mrs Thomas. Moonwood was a talking hare who lived in the sixth century, during the Age of Conquest. He lived under the Great Waterfall in the west of Narnia. His hearing was so sensitive, that he could hear a whispered conversation in Cair Paravel above the roar of the waterfall. You can read about Moonwood in the book, 'The Last Battle'. In Maths, we concentrate on learning the times tables and the related division facts as well as covering the rest of the maths curriculum. In Literacy, the emphasis is on learning to recognise the features of different genres of writing and being able to use these in our own writing. Where possible, our texts are linked to our topic. 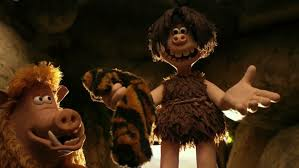 This term, we will be using ‘A Stone Age Boy’, 'UG' and a series of non-fiction books on the Stone Age. An important feature of our daily Literacy sessions is our spelling, punctuation and grammar lessons. Topic work is fun, interesting and varied. This term our topic in year 3 is the Stone Age. They will be taught through drama, music, dance and personal research. The Year 3 pupils will enjoy using the internet, books, music, art and artefacts to find out about the past. They will study: the food, clothing, cave painting, the hunter- gatherer survival techniques, the homes and how they changed over the years. After looking at pneumatic systems, the Year 3 children will be making a sabre toothed tiger whose mouth will open and close using wind power. We are looking forward to our Design and Technology lessons. During art lessons, we will find out about an animator’s job. In particular, we will study some of the amazing film sets and characters designed by Nick Park and all of the films he has made. Then, we will sketch some of the storyboards that will describe the action in the movie. Finally, we will go on to creating plasticine characters and sets. In year 3, we will have an opportunity to film and create a movie all about the Stone Age.. In R. E., we will be looking at Hinduism. The transition from Key Stage 1 to Key Stage 2 is an important step in children’s primary education. They learn to be much more independent and take responsibility for organising themselves and their belongings. I really enjoy being in year 3 because we do more challenging maths. It's fun and we have a very good teacher. I enjoy being in class. I enjoy being in year 3 because the work is harder and more of a challenge. I like the stuff we do in year 3, especially literacy, maths and science. We enjoyed the Dress Up and Dance day and performing a show to our parents.